Throughout his young life, Hodge has dreamed of royalty and one day possibly serving a prince. He has heard many tales of the kings, queens, and knights that once filled the courtyards of Castle Marlby with festivities and pageantry. Now those days are past, leaving the residents of the Castle to quietly go about their business. Hodge, with his badly hunched back, seems destined to perform the undesirable tasks (like mucking out the latrines and cleaning out stoves) for the rest of his life. However, Hodge’s boring existence is turned upside down when Prince Leo and his men arrive at the Castle. It seems that Hodge’s dream will be fulfilled when he is assigned the task of delivering meals to the royal guest. However, something is not quite right with this visit. There are no celebrations, fanfare, or parades. In addition, Prince Leo is kept secluded in his room under a veil of secrecy. Everyone at the Castle, including Hodge’s brother Fleet, realize that the Prince is not who he appears to be. Still, Hodge is proud to serve and to keep the Prince company…until he mysteriously disappears. While Hodge goes on a countryside search for the Prince, Castle Marlby is attacked by an army also looking for Leo. Hodge finds the Prince and returns to the destroyed Castle, only to discover that Fleet is now missing! With the help of friends along the way, Hodge goes on an adventure-filled journey to locate his brother. Along the way, he discovers the secret behind Prince Leo, the reason for the viscous attack at Castle Marlby, and that the very kingdom itself is in danger. Will Hodge, a lowly, uneducated, hunch-backed boy, be able to triumph over his shortcomings in order to save the day…and his brother? 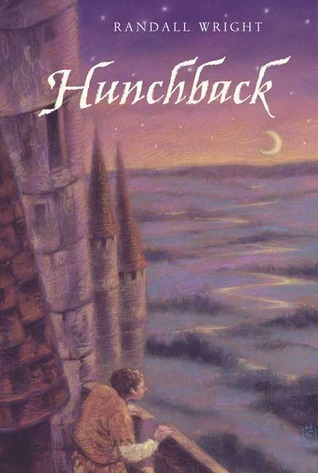 Find out when your read Hunchback by Randall Wright.